Hey guys! 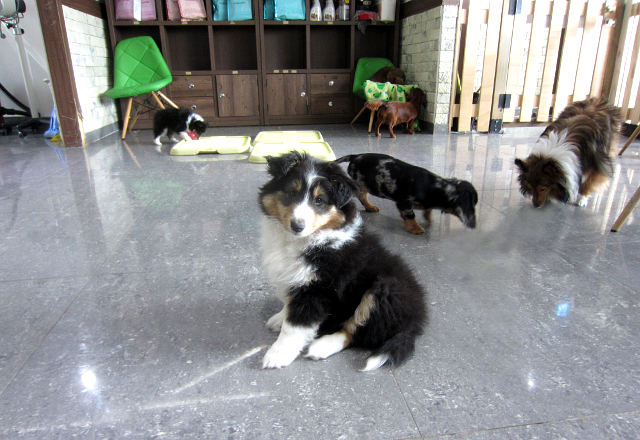 So this was definitely one the favourite things I did in Seoul, a visit to a dog cafe (we also went for some of the best pizza I've ever had afterwards, it was a marv day). Compared to the two cat cafes I've visited in Japan, this was 100% a better experience as dogs are just so much better suited to an environment where lots of different people are constantly coming in to stroke and play with them - which cats really don't appreciate. 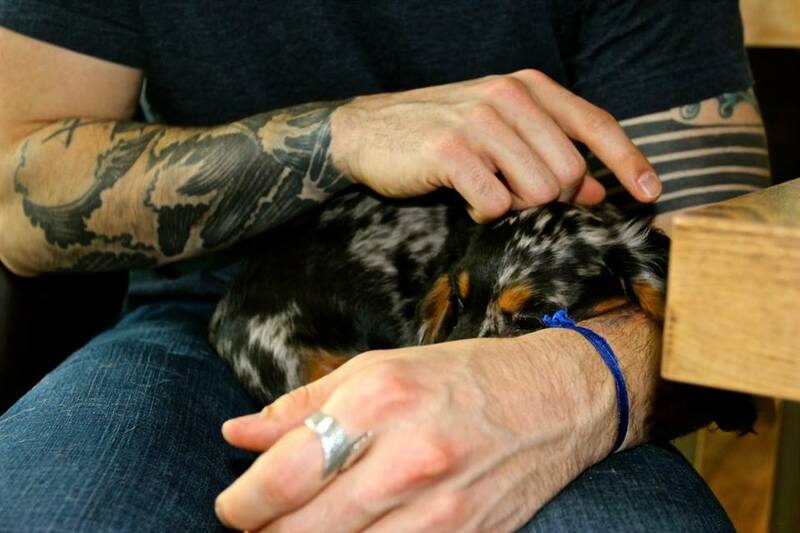 This little Dachshund was one of my favourites, he just curled up on whoever's lap and went to sleep! First of all the noise level when we (or any other customers) entered was off the scale, 20 or so dogs of varying sizes and breeds all barking at the same time! I have two terriers and when they get excited it's bad enough. All of these dogs were apparently rescues, and while there is no entry fee you have to buy a drink (around £3) to help with their upkeep which is a really nice idea. There were also two puppies (see the litle guy in the first pic) who were SO fluffy and adorable, after not seeing my dogs for 5 months this was literally the best thing to be able to cuddle one! Things that irritated me slightly were that customers were allowed to bring their own dogs in and put them in the pen with the cafe dogs, a couple brought their two dogs in and of course all the cafe dogs immediately turned on them, because they were outside their pack and also tinier than the others (one was a Pomeranian and you can see the size of the white dog in my video). As a dog owner I can't think of anything more stupid, and then once the Pomeranian was removed from the pen, because it was making those terrified yelps dogs do when they're being attacked, it then stood outside the pen and barked at all the other dogs - so the cafe owner brought out a duck beak shaped muzzle and put it on the Pomeranian so it was hard for it to bark. The owners found this hilarious and took photos but I thought it was pretty cruel considering they'd freaked their own dog out it the first place to make it bark off the scale, and the dog was clearly distressed and trying to remove the muzzle. This is such a great idea for a business! If there were one of these in my city I would go all the time because I lovvveeeee dogs but I don't have enough time to take care of one myself. They are all so cute - I loved the video! 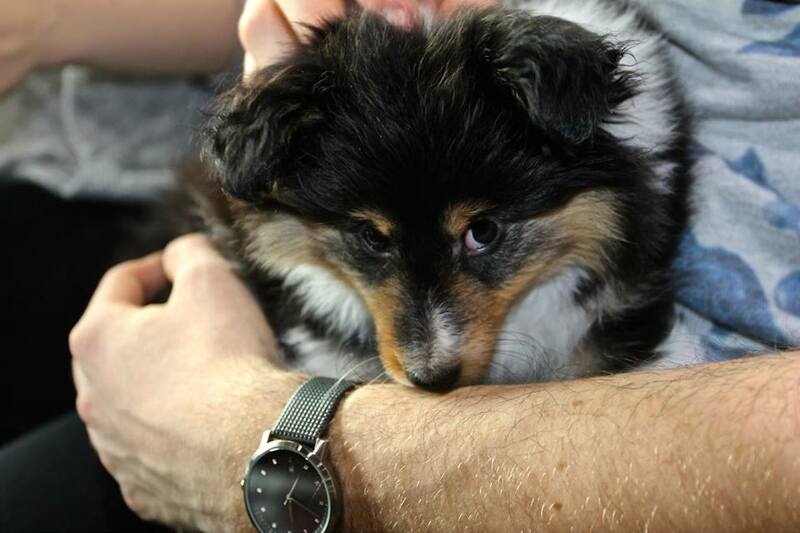 Aww I love the Shetland Sheepdogs (my dog is a Sheltie), that puppy is just adorable. 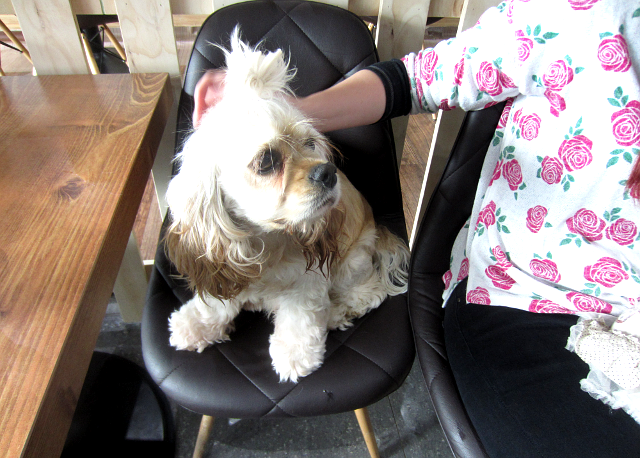 I want to go to a dog cafe! This is so cool! We have one of those in Dallas too! They need to make this happen in Phoenix! wow I love Korea! I also love your post about Korea! That's so interesting and I am glad you liked it. I always find this idea interesting...My friend at work was telling me about the cat cafes in Japan recently, but I had not heard of a dog version. I always think you should be able to bring your own pets for sure. 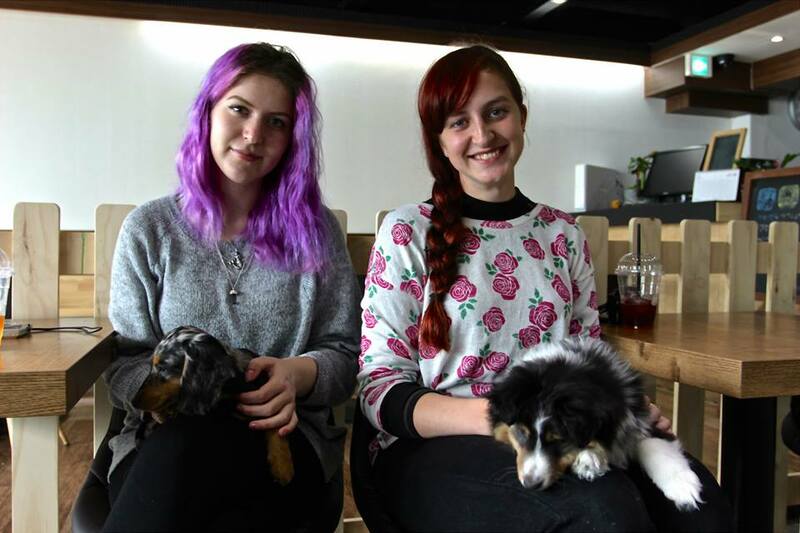 A dog cafe? How cute! 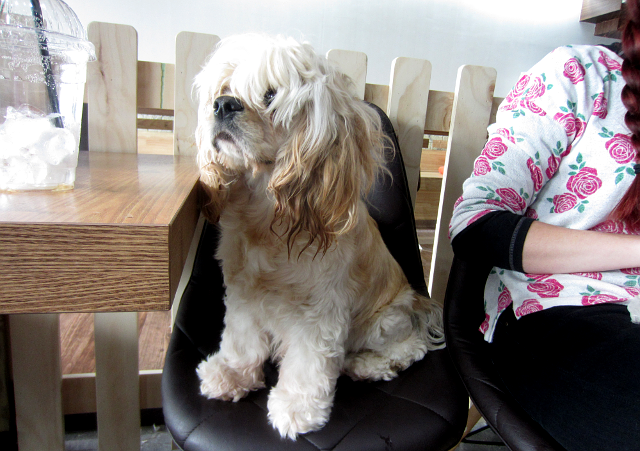 I've never heard of a dog cafe in Denmark, but a few months ago I went to a cat cafe. The cats were cute and all, but like you said in the post, cats aren't really suited to an environment where different people come in to play with them and pet them all the time, so it wasn't that much fun. Well, I hope you are having fun in Korea!